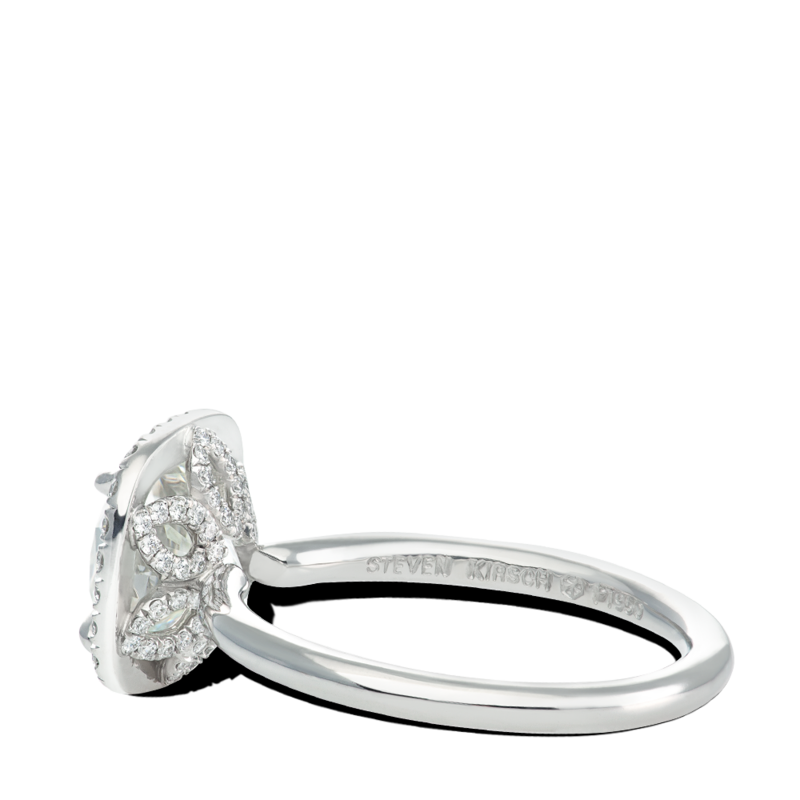 Handcrafted and inspired by the Beauty of Nature. 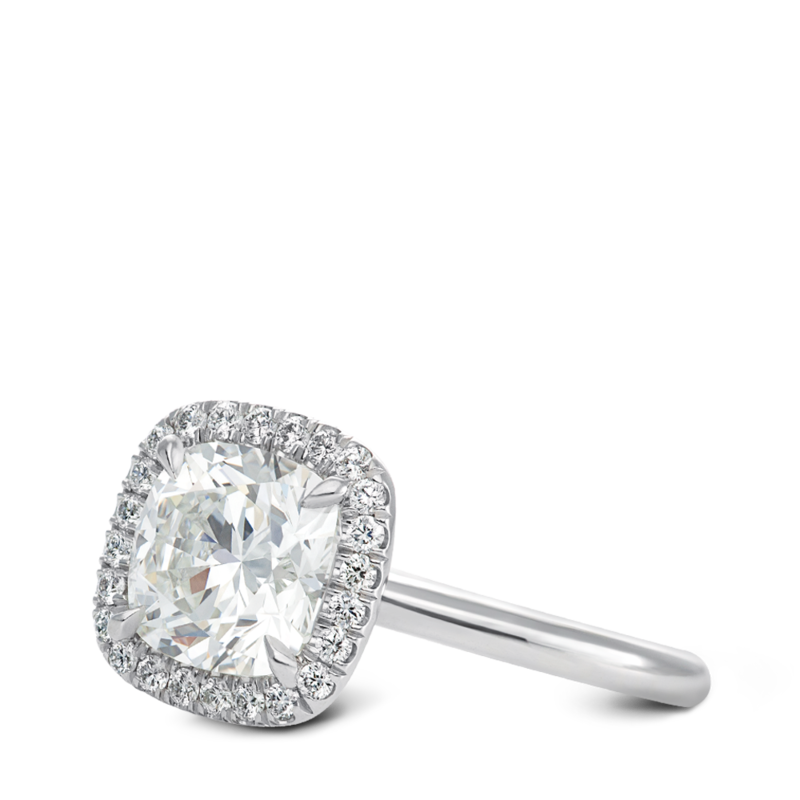 This Cushion Brilliant Diamond is securely set with delicate claw prongs. 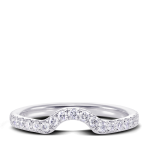 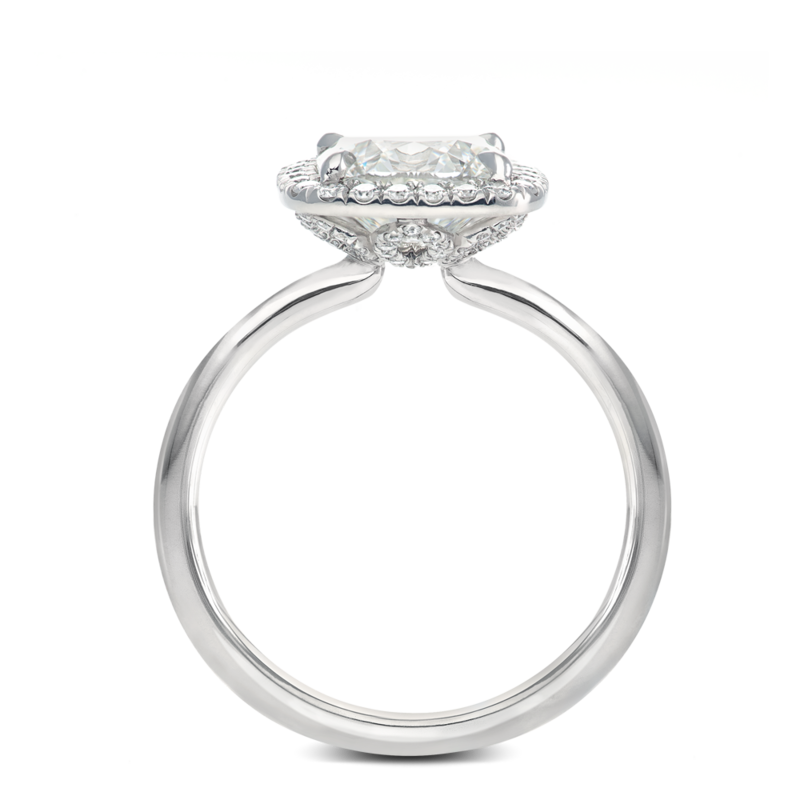 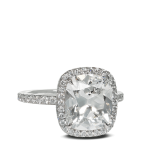 Petals set with ideal cut melee accentuate the basket while allowing light to shine through to the center diamond. Set on a plain platinum shank that allows wedding band to sit flush. 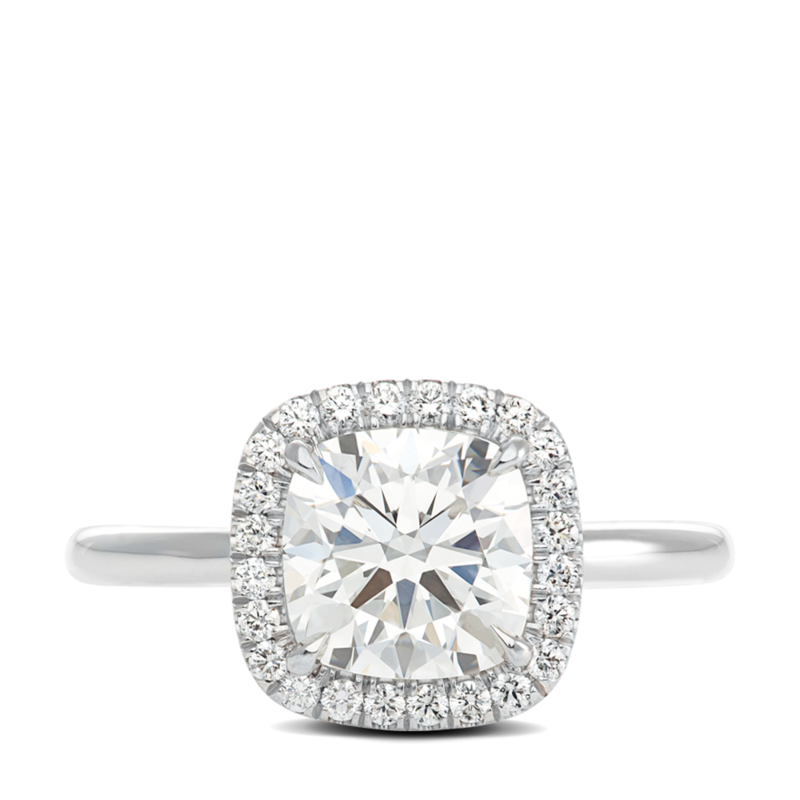 Designed for a 2 ct cushion center stones. Can be made for center stones.